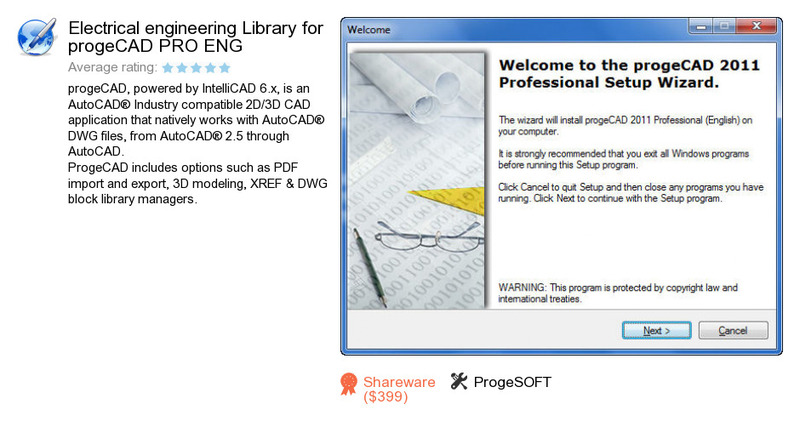 Electrical engineering Library for progeCAD PRO ENG is an application developed by ProgeSOFT. We know of version 2.0. Version 2.0.0.1 is available for download at our site. Electrical engineering Library for progeCAD PRO ENG distributive has a size of 264,890,231 bytes.